All your graph really shows is that more people prefer assisted dying to terminal sedation. You have also ignored the nonvoluntary and involuntary euthanasia that occurs in Australia now (some under the guise of terminal sedation) and which is almost never reported. 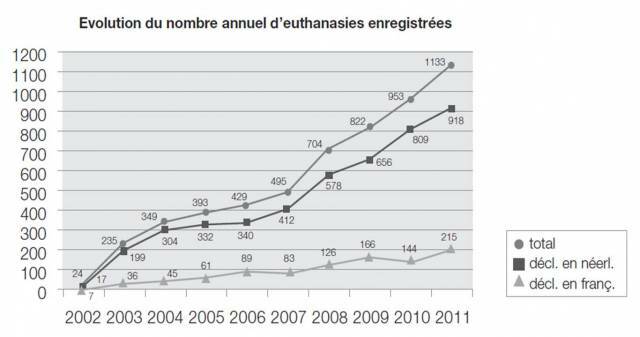 The graph records reported 'voluntary' euthanasia cases in Belgium. If you have figures for involuntary and nonvoluntary euthanasia in Australia (another country altogether where euthanasia is currently illegal) then I'm sure readers would be very interested in seeing them along with your sources. I`m very glad you asked, Peter. The information has been available for over a decade. The data were collected via anonymous doctor interviews. I have never seen any pro-lifer bring this study up, understandably so, since it annihilates their `slippery slope` argument. I hope you will not be a coward this time and delete this post as you did one of my other posts, where I demonstrated that the pro-choicers would handily win any public debates on this issue. Luc Deliens, Freddy Mortier, Johan Bilsen et al. decisions in the Netherlands in 1990, 1995, and 2001"
The evidence is ironclad. No oversight means no accountability, which leads to more abuse. Even more so when the law is being ignored by public prosecutors. 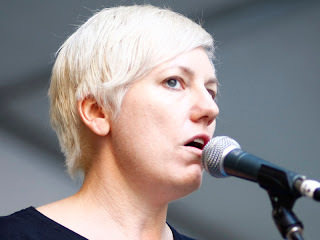 I'm familiar with Singer's work (another Australian) but this article you have quoted is 13 years old and dates from before voluntary euthanasia was actually legalised in the Netherlands in 2002. Also he quotes data without supporting documentation so it is not at all clear what he is classifying as non-voluntary euthanasia. Others who have used similar statistics have conflated injection euthanasia with deaths in which opiates are given or treatment withdrawn in which there was no explicit intention of ending life. It may not have been formally legal in the Netherlands, but it was de facto legal, with guidelines to guide doctors and prosecutors. If you have issues with the studies, please point specifically to where ambiguous and/or inaccurate definitions were used. The double effect doctrine is even more dangerous, since intent cannot be proven (unless death occurs in hours rather than days or weeks). Double effect is not an issue with a doctor who knows how to use morphine as there is sufficient gap between therapeutic and toxic doses. Yes there was incremental extension in the Netherlands before the law changed but only because of the lax prosecution criteria. The case for incremental extension in other countries which have not changed their laws has not been made and numbers are very low in the UK. One more thing, Peter. Let's say you get assisted dying cases brought to court. How will you get the conviction you desperately desire. I'm not looking for convictions. The current UK law is clear and right acting as a powerful deterrent to exploitation and abuse whilst giving discretion to prosecutors and judges in hard cases. It doesn't need changing. What makes you think it's a deterrent? The only thing it guarantees is a dearth of reporting and accountability. The DPP, if he or she has any sense, will never prosecute unless the assister profits from the patient's will, because no jury in England is going to return a conviction. As for your "double effect" defense; it rings most hollow. What happens in practice are increasing titrations until the patient dies. There are loopholes that allow doctors and nurses to record half of the dose given. Don't believe me? Read Angels of Death by Magnusson.